Aluminium windows and doors are becoming more popular to homes throughout UK. So what are the benefits of installing aluminium windows and doors to your property? Traditionally, aluminium frames were used in commercial buildings such as office blocks and shop fronts. The reason for this was due to the fact that aluminium windows and doors offer incomparable benefits at an affordable price. Wooden frames need constant maintenance to stay looking their best, over time these window and door frames will rot. However, aluminium have robust properties which will not discolour when exposed to sunlight, it will also not rust or bend. Aluminium will stay clean and maintenance free. Aluminium frames can be constructed in every size and shape. 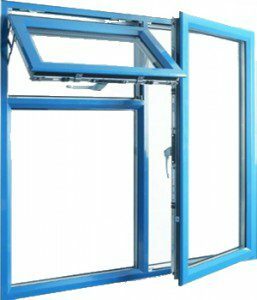 Aluminium window and door frames are extremely flexible, light but strong, therefore having no restrictions like other materials have. 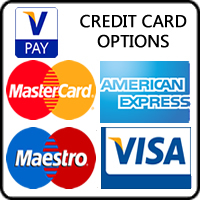 Aluminium frames can be constructed in any shape and size, the only limit is your budget! Aluminium Windows can be designed to any dimension and specification. Powder coating can be added to our aluminium windows to match any colour. Powder coated aluminium will never require painting. 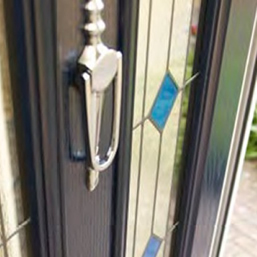 Offering a wide range of Aluminium Doors to homes in Peterborough. 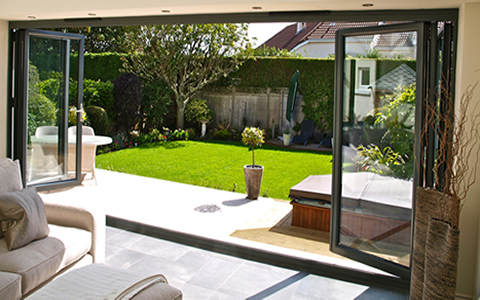 Aluminium door range includes: Bifold, Patio, French, Sliding, Bifolding and Swing doors.